U.S. Department of Interior chooses XR-5 geomembrane for wastewater impoundment needs. 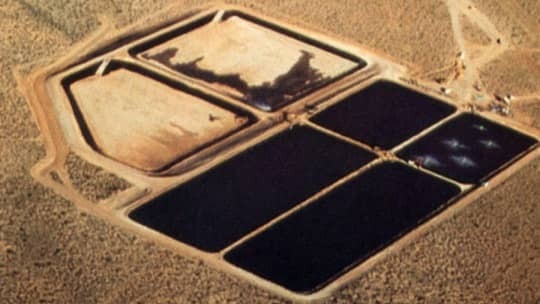 The U.S. Department of Interior was concerned about the high winds, desert sun and extreme thermal swings at their Wahweep Marina sewage impoundment. Based on years of experience at other DOI marinas in the region, the clear choice was XR-5® geomembrane by Seaman Corporation. The geomembrane is used for more than 100,000 square feet of membrane slope protection and erosion control at this sewage impoundment located 70 miles upstream from the Grand Canyon. XR-5 geomembrane is UV resistant, has a coefficient of thermal expansion 1/20th of polyethylene, and has an extremely high yield tensile strength. After more than 20 years in the most difficult applications around the world, XR-5 is recognized as the first choice material in a countless number of projects.